The story of Guatemala’s territorial claim over Belize is only getting bigger. After The San Pedro Sun story of that country’s tourism publication INGUAT featuring Belize as a part of Guatemala hit the web, there is even more to report. The San Pedro Sun can confirm that Tourism Minister of Belize, Honorable Manuel Heredia Jr. was gifted a signed copy of the publication, and upon being notified of the offending map, has officially written his Guatemalan counterpart. The matter of the map has been brought up at a Cabinet meeting, and it was agreed that a formal complaint be launched at the next SICA level ministerial meeting. While that venue has not been determined, Heredia is officially filing a complaint/protest at the next meeting scheduled within the next few months. Heredia also said that the Ministry of Foreign Affairs will be sharing diplomatic notes with his Guatemalan counterpart, and the Belize Government will officially launch a complaint to the Guatemalan government. The matter has been brought up to the referendum committee, where they are addressing the issue from the referendum standpoint. The Tourism Institute of Guatemala (INGUAT) published a destination book with a map of the country in which Belize is featured as part of Guatemala. The 2012 edition of the publication entitled “Guatemala – Heart of the Mayan World... 2012” is similar to Belize’s “Destination Belize”. The book was distributed by the Guatemalan Government to members of a Belize delegation during a media conference on January 14th. The conference was organized by the Central American Tourism Integrated System (SITCA) which falls under the Central American Integrated System (SICA). 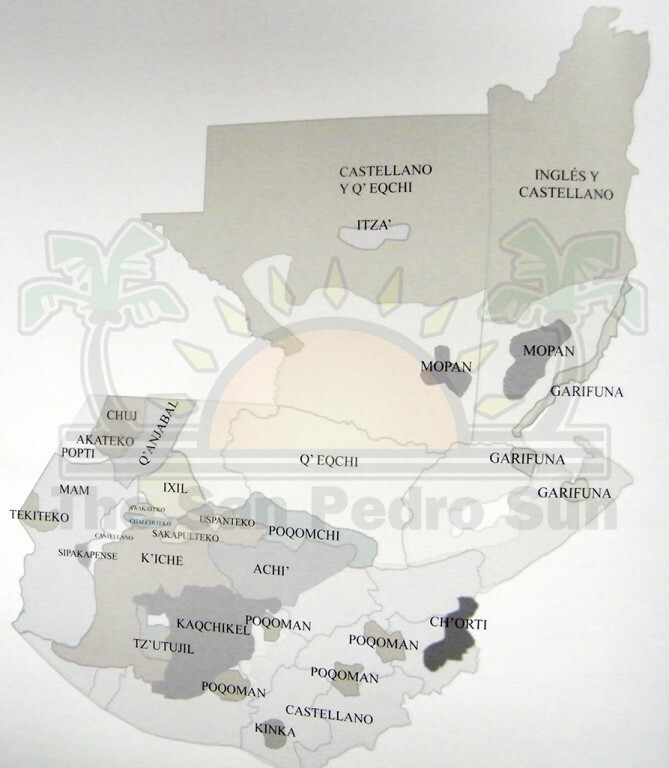 Page 26 of the book shows Belize as part of a state (departamento) indicating that in such region, four languages are spoken mainly English, Spanish, Mopan Maya and Garifuna. As part of the geographical description of Guatemala, the book explains that they have two coastlines consisting of the Caribbean Sea and Pacific Ocean. Why is it an issue you may ask? Well it is no secret that Guatemala has a long standing territorial claim over Belize. The book with such controversial map on its pages, was given out at official SICA event, an organization that recognizes Belize as a country and not a part of Guatemala as indicated in the map. What makes it even more worrying is that INGUAT, the leading tourism institute of Guatemala, appears to be misleading its readers to believe that Belize (though not stated outright) is a part of Guatemala. In addition, the book was published during a critical time when both countries have agreed to decide within their country whether the claim should be taken to the International Court of Justice. The matter has been brought to the attention of an official at the Belize Tourism Board, who said that they will review the publication and thereafter have the issue addressed through the Ministry of Tourism in Belize. Mexico Vs Honduras; Catch the game live!